Left Brain, Right Brain or Both? These answers are coming from individuals who are left brain, often times 4.0 G.P.A. individuals. Most humans are not wired to be just analytical. A society that has pushed the importance of “left brain” ideas and has flourished under this thinking is now wanting more. Not only do individuals need to be analytical but they also need to be “right brain” individuals capable of things like empathy, creativity and possess skills like creating meaning. In a society where businesses are looking at efficiencies and wondering if someone overseas can do it cheaper or allowing a computer to do it faster, the skillsets that cannot be handled by a computer or perhaps not overseas are the things that are desired by this new generation and our clients. Having the ability to bring meaning and a personal touch to the product will be the difference in those who are successful and those who are not. Having high emotional intelligence has never been so important. The ability to empathize, relate and connect with clients is what will separate businesses. Our high tech abilities will need to be matched with right brain qualities. Our ability to be correct, competent and accurate will be “givens,” however to flourish in the years to come, we will need to also tap into the right side of our brain. Computers and technology cannot recreate many things that are located on the right side of our brain and those skills will be what separates businesses and people from either being successful or replaceable. Those who are not naturally “right brained” thinkers can learn how to enhance their skills in this area. There are classes on becoming more emotionally aware or intelligent and just like with any new skill, it will take time to make this skill feel natural. Our firm, as a whole, has operated under this philosophy for years which is evident in our long term clients and the decades of success that the firm has enjoyed. It can make recruiting a challenge when you are in search of individuals who are left brain intelligent and at least right brain aware but in the business of public accounting, that skillset is a must. We have been blessed over the years to have partners model behavior that displays what this looks like in action. It comes from a root of genuine care and interest in others and it’s a privilege to be a part of an environment like that. Next year our firm will be celebrating its 70th Anniversary and I have been privileged to work at the firm for 22 of those years. I feel I have been fortunate to work here over 2 decades, because during this time I have had the opportunity to see up close and personal, what our firm is all about. We are so much more than doing tax returns and preparing audits and giving business advice. Our firm is about our clients, our team members and taking care of the community we live in. One of the ways we take care of the community in which we live, is by hosting an annual Blood Drive. 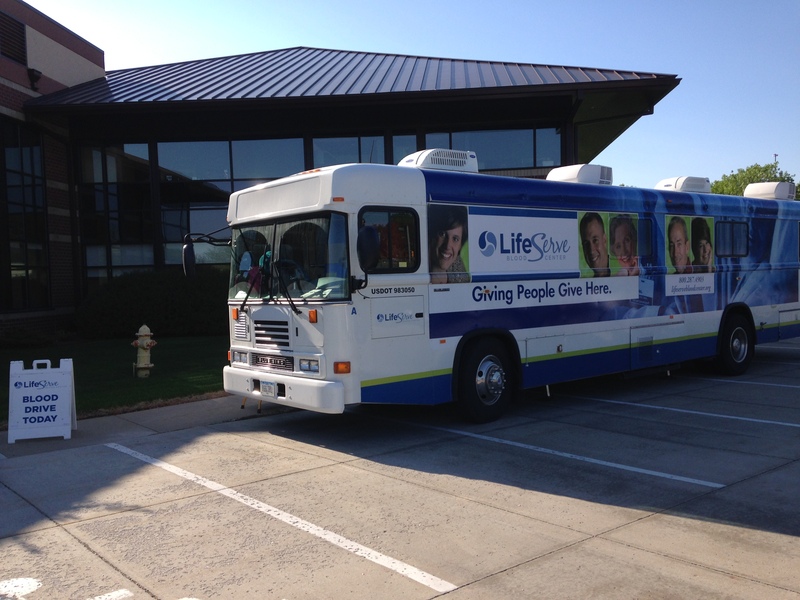 This year the LifeServe Blood Mobile will be pulling into the MHC&S parking lot on May 26th. We invite our employees, families, clients, neighbors, tenants, vendors, etc. to join us in donating blood. While donating blood is important during the entire year, it is always especially important during holidays like Memorial Day – with increased travel and vacations, the need for blood increases as well. Fourteen lab tests (11 for infectious diseases) are performed on each unit of donated blood. The entire procedure takes less than an hour, and well, frankly, could anything be more worthwhile? For more information about blood donation, please check out the LifeServe website. We invite you to mark your calendar and join us on May 26th to be a blood donor in our parking lot at 1601 West Lakes Parkway, West Des Moines. Please click on this link: https://www.donorsaves.org/index.cfm?group=op&expand=59083&zc=50266 to schedule your appointment on-line, and feel free to call our office at 515-288-3279 with questions. It will make your day! Marketing Director – McGowen, Hurst, Clark & Smith, P.C. You are currently viewing the archives for April, 2015 at McGowen, Hurst, Clark & Smith.